Technical debt which is also known as code debt refers to the cost a company has to incur for reworking on a project where the easiest solution was chosen instead of the better solution. Therefore, due to some scenarios, the company is forced to opt for the better solution now after having worked on the easiest solution and thereby, additional time and labor need to be put in leading to higher cost. It is applicable in the software development stages. The reason for the preference on the easiest instead of the best solution was to save time. But in the process, more time will be consumed making a transition from easiest to better solution, and the expenditure might as well double. The term technical debt is very much comparable to the term monetary debt in real life. If monetary debt, if you do not pay the debt sooner, you have to incur a large interest which at times can exceed the principal amount. Similarly, if the transition from easiest solution to the best solution is not made at an early stage of the software development, later on, it can be extremely tough, and everything needs to be reworked like a new project altogether. As it is clear from the title itself, the software developers already know the best solution to a problem or a project. They also know the easiest and quickest solution which is not the best solution. They are quite aware that the easiest way is not the right way to do about. However, due to time constraints and pressure from the overhead management, they opt for it and ignore the best solution completely and deliberately. In this approach, the team needs to make the higher management aware of the situation and the route they are taking and how much time and money will be involved if the best route is taken. The higher management must also be made aware that in the next project or feature launch, enough time must be given implement the best solution and not the quickest one but there are sure to be some fault or the other coming up with extensive usage after the deployment whose cover-up can be tiresome and inefficient. Nearly every software design has this tech debt, and that is why it is also referred to as design tech debt. No matter how advanced your software design is, it is going to get outdated with time as the trend in the design world keeps changing rapidly. Therefore, almost every software design gets into a technical debt to update itself. The design does not only refer to the UI but also UX and functional parts. Along with functional design changes, the coding needs to be changed to simplify things for the users and as per the trends in the market. It is a continuous process, and if you keep updating from time to time, the debt will not be a burden. However, if you keep ignoring it for a longer period of time, you have to suddenly do a lot of reworking and amounting to huge time and money. This happens when the software development team lacks experience and hardworking attitude. It is basically not selecting neither the best solution nor the easiest one. In fact, it is the selection of the most complex solution and thereby creating complication in the entire project. This happens when the team members copy-paste ideas, codes and not come up with specific solutions pertaining to the problem or project. This should be avoided rather than reworked continuously, and it can be avoided if there is a supervisor monitoring the moves of the software development team. 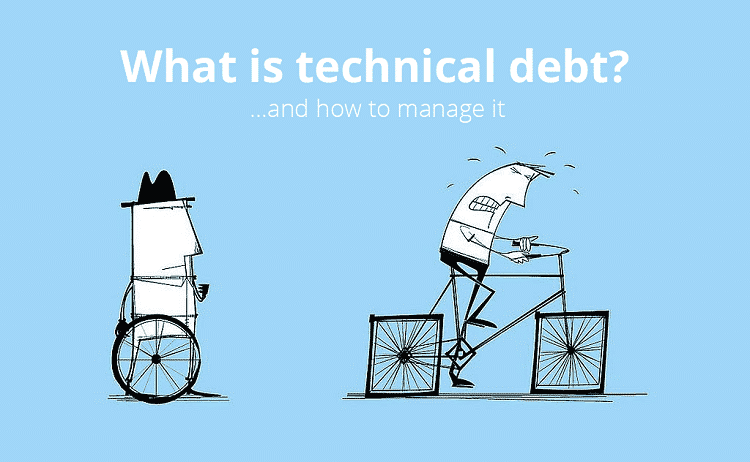 There are various causes that lead to technical debt, and they are as follows. – Lack of understanding of the requirements. – Inefficient and inexperienced development team. – Lack of supervisors and lazy team lead and project manager. – Business pressure like a limited deadline and lack of resources. – Last minute changes in requirements and specifications. – Lack of maintenance of proper standards in software development. – Poor technical framework and technologies used which are not the latest things. – Delayed in reworking and modifying features and sorting issues. – Parallel development and therefore, lack of concentration. – Lack of proper testing and lack of communication among members. Most of the technical debt issues can be avoided in the first place, but when a company grows large, there is a lack of supervisory actions due to which the quality of coding or problem-solving decreases. It is better to nip the bud at the source, but if that is not possible, there should be continuous reworking on the projects so that the reworking does not become a headache and cost a lot of time and effort. Previous post What Is A Social Media Cover and Why You Need One?